For Elon Musk, human survival could be dependent on the colonization of other planets, and next week the SpaceX CEO will reveal all about his ‘crazy’ blueprint for a city on Mars. 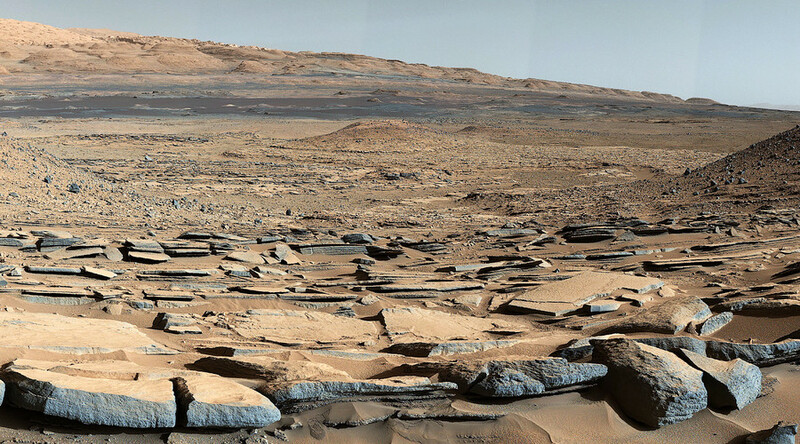 Fascination with the unknown is what drives human exploration and, in recent decades, looking beyond the boundaries of Earth has brought the idea of life on Mars closer to reality. Of course, back in the 1960s there were similar expectations, including US Vice-President Hubert H Humphrey’s prediction that by the year 2000, we would already have some “really far-out developments” such as a Mars research station. Since then NASA’s 1976 Viking Project has become the first craft to successfully land on the planet’s dusty, copper surface. Numerous pieces of hardware such as Britain’s Beagle 2 lander and the US Curiosity Rover now litter Earth’s neighbor. Meanwhile, 15 years after its launch, NASA’s Mars Odyssey remains a key source of information regarding the planet’s dramatic climate. On September 27, SpaceX is expected to shine its own spotlight on Mars and add to the already-intense fascination with the Martian world by outlining of how it hopes to shuttle the first human settlers there. Musk is due to speak at the 67th International Astronautical Congress in Guadalajara, Mexico, and will focus on the subject of ‘Making Humans a Multi-Planetary Species’. The event promises to provide the fullest insight into the SpaceX mission to Mars since Musk first signaled his intention to explore the planet. It could even spark an escalation in the race to the fourth planet from the sun. “I thought that it [Guadalajara] would be a good venue to describe what we think would be a good approach - [a plan] that would be effective for establishing a city on Mars. I think it’s going to sound pretty crazy, so it should be at least entertaining,”Musk told a NASA press conference last April. SpaceX rockets are currently grounded following a few teething problems, such as the recent explosion of a Falcon 9 craft carrying a satellite. The Mars Colonial Transporter (MTC) is speculated to fly the first human explorers to Mars before 2030 despite almost no official comment on the ship by SpaceX, bar a few clues provided by the company owner on Reddit and tidbits offered in interviews. For example, a SpaceX jaunt to Mars will involve a “monster” rocket booster core and possibly carry at least 100 people at a time. Earlier this month, Musk revealed he was also changing MCT’s name to the Interplanetary Transport System after realizing it could travel “well beyond Mars”. Mankind’s initial journey beyond the atmosphere and later to the Moon was fueled by Cold War-era tensions between the US and Soviet Union. This time the new space race appears increasingly likely to be dominated by private companies rather than governments. So which firms, apart from SpaceX, are the notable contenders vying to turn people into Martians? Backed by Dutch entrepreneur Bas Lansdorp and a number of private investors, the Mars One project has set itself the optimistic task of creating a base more than 78,000km (49,000 miles) away by 2023. Strangely, the $6 billion mission is a one-way trip and relies on volunteers being prepared to spend the rest of their days “living and working on Mars.” A selection process for settlers/capable astronauts is now into the third stage, with the Mars One medical officer Dr Norbert Kraft expected to whittle the number down to a team of just 24. A statement on the Mars One website reveals how after 10 years of training only four people will make the initial journey, with the colony population increased through additional landings every two years after 2029. Mars One says it has signed contracts with aerospace manufacturer Lockheed Martin and Paragon Space Development, and is in contact with other firms to acquire the necessary equipment. Lansdorp’s unprecedented expedition has come under criticism for reportedly accepting candidates based on their donations to Mars One, something he has denied. The relatively modest budget for space travel has also raised questions about whether Mars One is just wishful thinking. “Our $6 billion cost figure comes from good discussions that we have had with established aerospace companies from around the world,” Lansdorp explained in a 2015 Q&A session. “We are organizing a mission of permanent settlement where we do not need to worry about the return trip, which is where most of the complexity lies,” he said. NASA already has the know-how to get to Mars and is currently constructing the Space Launch System, the largest rocket ever built, which one day may shoot an Orion spacecraft towards the Red Planet. NASA’s funding from the US government amounts to more than $18 billion a year, making it a clear favourite to land an astronaut amid the Red Planet’s atmosphere, largely comprising carbon dioxide. In 2010, NASA estimated it would possess the capability to send humans to Mars safely by the 2030s. An update last year was more coy and instead explained the agency’s desire to decrease mission reliance on Earth and, with knowledge gleaned from International Space Station (ISS) studies, gradually increase the time astronauts can spend in orbit. The agency’s ‘Journey to Mars’ guide focuses on their “near term” objectives, such as mastering massive cargo transportation on journeys over 1,100 days, as well as identifying a habitable environment on Mars. NASA experts also stated their belief that building an outpost in cislunar space, the area around the moon, to act as a proving ground is the first step towards a manned Mars landing. NASA’s idea of a deep space test zone chimes with the plans put forward by the agency’s partner, Lockheed Martin. 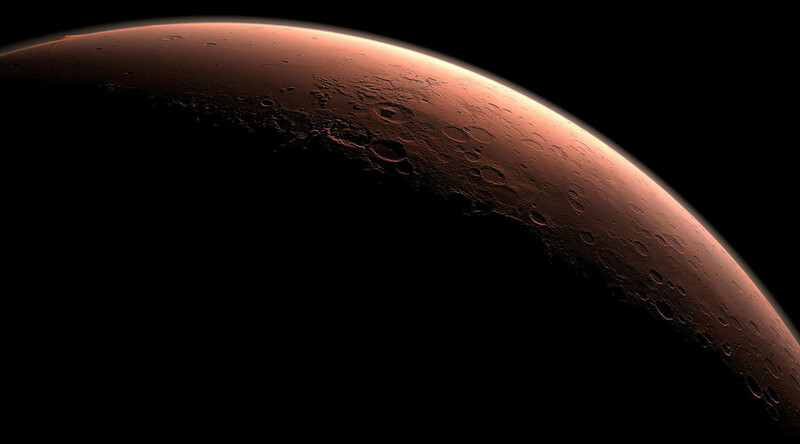 It’s unlikely the US weapons manufacturer will try to reach Mars alone. The privately-funded aerospace firm founded by Amazon CEO Jeff Bezos has already successfully tested its New Shepard reusable rocket. While not explicitly planning a mission to the Red Planet, the company’s latest rocket New Glenn, which dwarfs everything SpaceX has on the table, makes Blue Origin impossible to ignore. 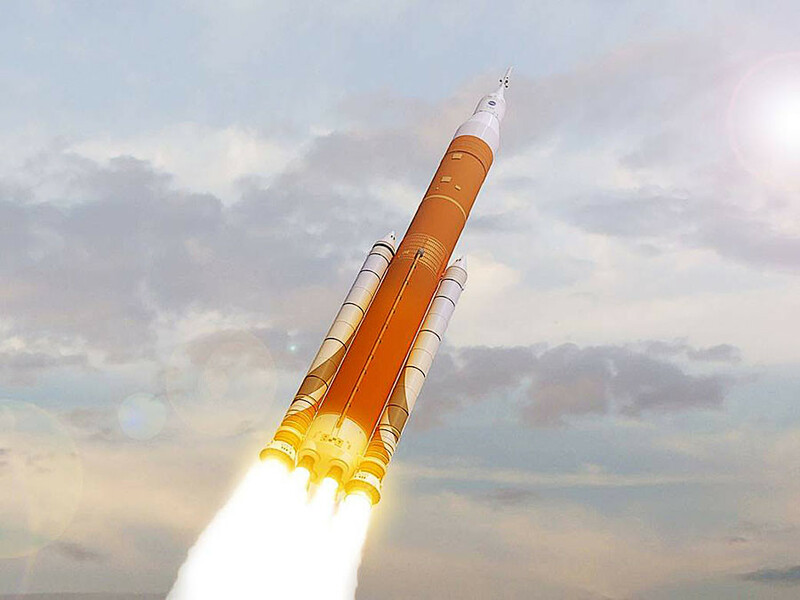 The 313ft (95 meters) tall rocket is due to be launched in 2020, with Bezos also teasing the name of another mysterious project, known only as New Armstrong. “Our vision is millions of people living and working in space, and New Glenn is a very important step,” Bezos said following the New Glenn unveiling.